Government unable to provide answers on abortion as Irish State is reviewed under the Convention on the Elimination of all Forms of Discrimination Against Women (CEDAW) for first time in 12 years. State failed to assure Committee Members of a time frame for government deliberation following the Citizens Assembly, nor give any clear path to a referendum to repeal the 8th Amendment. In a tense and awkward exchange during the Constructive Dialogue between Committee Members and the State, Geraldine Luddy of the Department of Health was unable to answer questions on how the State plans to vindicate the rights of women and girls should the Citizens Assembly or a subsequent referendum not return the necessary results to satisfy the State’s obligations under International human rights law. The Committee noted that the State had abdicated its responsibility to meet the health care needs of the women and girls in Ireland by relying on services in another jurisdiction. Committee Member Patricia Schultz commented that Ireland had been having this discussion for a long time and was eager to hear if the government had legislation ready to ensure the “human rights and autonomy” of women are upheld. When pressed on what might come next, Ms Luddy stated they “don’t have a crystal ball” to predict the future. Visibly unimpressed, Madame Schultz responded “yes without a crystal ball but perhaps [with] a compass” the State could answer her question. The Committee also commented on the unwieldy nature of the Protection of Life During Pregnancy Act (PLDPA) 2013, it’s onerous and unclear guidelines and asked will it be repealed should the 8th Amendment be removed from the Constitution. The State responded only that the PLDPA will be reviewed “depending on the will of the people”. 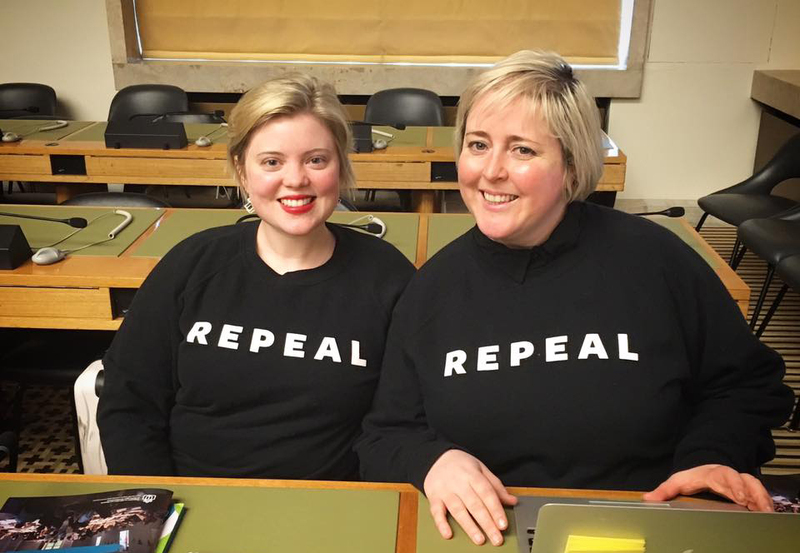 Abortion Rights Campaign spokesperson Linda Kavanagh, present during the course of the review under CEDAW, commented, “The State seems to think that the human rights of women and girls in Ireland are a matter for public opinion. It has no clear plan for how to reach its human rights obligations. It also had no answer for any probing questions about the timeline or a path to a referendum. We were heartened that the committee members understood and pushed the state on the need for full autonomy for women and girls in Ireland.